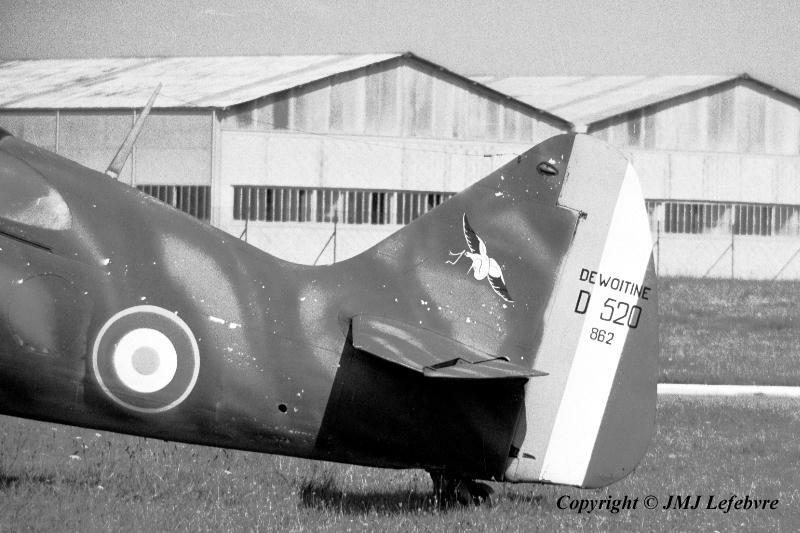 Linked to memory of Colonel Papin and applied on the tail fin, the emblem of SPA 73 Escadrille, a turning stork familiary known as " Japanese stork ". This unit originated on 19 April 1916 as N 73 because flying with Bébé Nieuport fighters. The stork was choosen during 1917 when the '73' was integrated as a SPA to Combat Group 12, the famous 'Groupe des Cigognes ( Storks Group ) being the equivalent of a Division. SPA 73 totalled 30 confirmed kills. Its story continues as 7th escadrille of 1st RAC ( Fighter Aviation Regiment) on 1st January 1920, then from 1st January 1924 as 8th escadrille of 32nd RAO ( Observation Aviation Regiment ) and 3rd escadrille of the same RAO in 1931. With creation, on 1st October 1932 on the Dijon-Longvic airfield, of the 7th Fighter Wing Spa 73 became the first and unique escadrille of GC II/7, flying Wibault 72 aircraft. It was reinforced from 1st May 1933 by the 'Black Panthers' of SPA 78 Escadrille which found its origins during 1916 as N 78 with Bébé Nieuports and totalled 80 kills of which 40 received homologation and was disbanded on 31 March 1919 to be reactivated as 4th escadrille of 32nd RAO in 1928 and curiously separated from SPA 73 between October 1932 and June 1933. Here I stop the story of GC II/7 (see picture 40 in API N°09 for further shortened story) and meet again Papin who, as a pilot of GC II/7's SPA 73, was credited with the kill of a Heinkel 111 on 2 June 1940, this at the controls of Dewoitine 520 N°244.